Become a member of the Horry County Museum. These FREE, family friendly programs are open to children ages 5-10. Junior Curators will meet at the Museum and will offer children a chance to learn about the history and natural history of Horry County through hands on activities. Junior Farmers will meet at the L.W. Paul Living History Farm and focuses on the traditions of an early 1900s farm family. Check out our new tank! To collect and preserve material related to the prehistory, natural history, history and culture of Horry County; to interpret and to create exhibits of such materials and to prepare educational programs related to them for presentation to the public, particularly the citizens of Horry County, South Carolina, and to operate a facility for this purpose. The Horry County Museum was established in 1979 and opened its doors to the public in 1981. The Museum focuses on the history, pre-history, and natural history of Horry County, S.C., and educates the public about these subjects through exhibits, outreach programs, and events. In 2009, the Museum opened the L. W. Paul Living History Farm. The Farm is a recreation of life on a one horse family farm between the years of 1900-1955. Visitors to the farm can experience what life was like in a farm community during those years and attend quarterly events at the Farm. In 2014, the Museum moved into the renovated 1905 Burroughs School. The school is on the National Register of Historic Places. The move includes increased exhibits, a freshwater aquarium featured on Animal Planet’s hit reality show “Tanked”, and a 600 seat auditorium that hosts public presentations and programs. 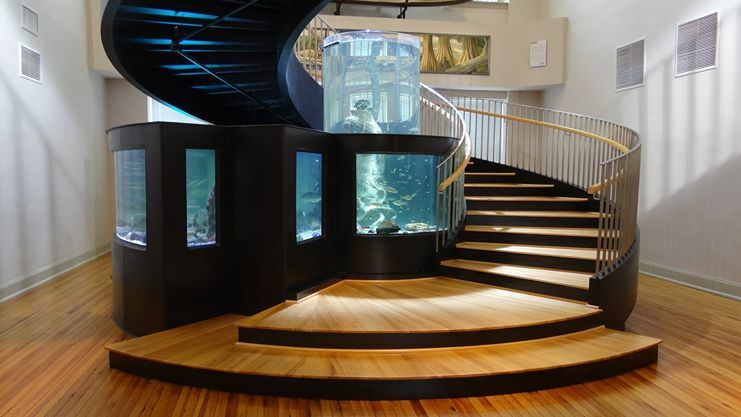 The Horry County Museum Freshwater Aquarium was featured on Animal Planet’s hit reality show “Tanked.” Come by the museum and check out this unique custom made aquarium that details aquatic life in our local rivers and lakes. The Horry County Museum currently serves the people Horry County and its visitors through the presentation of exhibits on the history, prehistory, and natural history of the county at the museum's main location and through the presentation of out-reach exhibits and programs in various locations throughout the county. 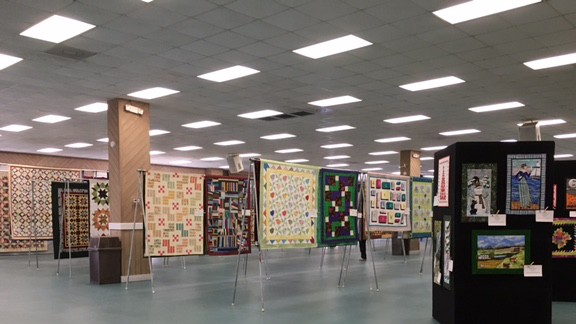 The majority of the museum's collections are stored at the Main Street location and included a highly acclaimed photographic collection as well as historic artifacts documenting the unique history and culture of Horry County. The L.W. Paul Living History Farm, is a branch of the Museum. Visitors to the Farm will have the opportunity to sample the everyday life of an Horry County farm family living during this era. Guests on this working farm will be able to observe activities that would have been commonplace on traditional family farms. Events at the Farm change with the seasons so check in on us throughout the year to see what’s happening here. As the farm year progresses events and demonstrations change to interpret the activities that take place on the Farm annually. (Pronounced O-ree) is one of the largest counties in the Eastern United States at over 1100 sq. miles and is drained by two major river systems, the Waccamaw and the Pee Dee. This low, sandy land along the coastal plain of South Carolina supports dense stands of long-leaf pine which fostered the areas first economic growth in the production of Naval Stores. Today, the county's major industry is tourism with the Grand Strand of Myrtle Beach attracting millions of visitors annually. The Horry County Museum and the L.W. Paul Living History Farm provide free field trips and programs to schools. Students visiting the Museum will have the opportunity to engage in curriculum based, hands-on programming in our Education Room, as well as a self-guided tour of the exhibit galleries with their teachers and chaperones. At the L.W. Paul Living History Farm students will witness various agricultural and domestic demonstrations that will show what life was like for a farm family in the early 1900s. Can’t make it to the Museum or Farm for a field trip? Museum staff have curriculum based lessons that can be brought to your school at no cost. For information regarding available programs and to schedule a session, contact Marion Haynes.